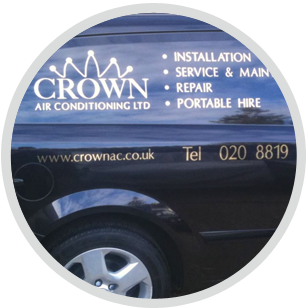 Crown Air Conditioning are air conditioning and ventilation specialists, providing services in Guildford, Farnborough and surrounding counties. Our services includes the replacement of R22 refrigeration systems, with all work carried out by our team of fully trained and highly experienced engineers. 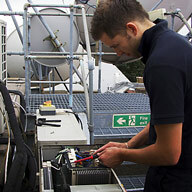 Why should R22 refrigerant systems be replaced? EU legislation was introduced in 2015 which banned the use of R22 air conditioner coolant to top up existing systems. Furthermore, in an effort to reduce the risk of dangerous leaks, the 2015 legislation means that it is now illegal to break into or replace the pipework in R22 reliant systems. This means that it is almost impossible to repair or maintain systems which use the R22 coolant and although it isn’t illegal to use these systems, the businesses or individuals who rely on them have been left exposed. Does your air conditioner use the R22 coolant? Thousands of R22 reliant air conditioner systems were installed in the UK during the late 80s and early 90s. This means that many are still use and although the majority of have been replaced or converted, a significant number are still in operation. As a result of the 2015 ban, air conditioning systems which use the R22 coolant have been rendered obsolete which means that many offices, hotels, data centres and hospitals are at risk of not having a working system. R22 air conditioner conversion: if you’re system is working well and still has plenty of life left in it, the most cost-effective option could be to convert it so that it uses a different coolant. Our experience covers a wide range of air conditioning and ventilation systems and we’ll use our expertise to extent the life of your equipment, whilst avoiding a disruptive installation. R22 air conditioner replacement: conversion can prove to be an expensive option and if you’re system is old and inefficient, it can be hard to justify the expense. In cases such as these, we recommend the installation of a new product. 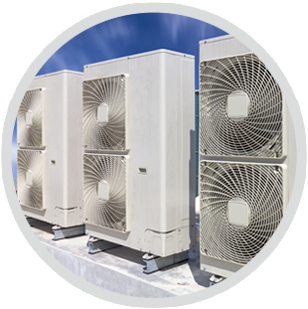 We install industry leading air conditioning systems, made by well-know manufacturers including LG, Panasonic, Mitsubishi and Daikin to provide you with long term reliability. 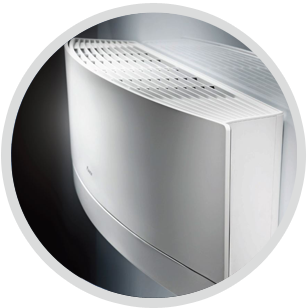 We are a reputable company with many years of experience in designing, installing and maintaining top quality air conditioning systems in Guildford and Farnborough. We take great pride in our high level of workmanship and our service and maintenance contractors are fully trained and qualified. If you would like to find out more about our R22 refrigerant replacement services, please call us on 01737 668310 to arrange for a free, no-obligation quotation.